Plant a Fruit Tree...Or Two! Grow your Own Popcorn ! Avocado Trees for Northern California? How Much Water Does Your Lawn and Garden Really Need? After the storm: Leaning Trees Need Your Attention, Now! Talk 650 KSTE in Sacramento, 10 a.m. to Noon. At noon, it's the KSTE Farm Hour. And, you can listen to all the shows, live, via the KFBK.com and KSTE.com websites. Previous editions of "The KFBK Garden Show" and "Get Growing". Plus, for news about California agriculture, it's the KSTE Farm Hour. in the Lodi News-Sentinel. ; also available at the Farmer Fred Rant! Blog page. Apr. 21: Debbie Arrington - Sacramento Rose Society; Kathy Morrison, "Sacramento Digs Gardening" blog: "Spring Rose Care"
Apr. 28: Official Tomato Planting Day! With Don Shor. May 5: Cherie Sintes-Glover, Urban Chicken Consultant: "Raising Backyard Chickens"
May 12: Horticultural Consultant Debbie Flower: "Thwarting Spring Gardening Problems"
Will Those Green Tomatoes Turn Red This Fall? Bareroot Fruit Tree Shopping? Buyer Beware! A Cure for the Cherry Maggot? Peach Leaf Curl: It's Back! Droopy Plants on a Hot Day. Water...or Not? Holy Jumping Oak Galls, Batman! Winter Storms and Trees: Inspect Them Now! Dead Foliage Now? Leaf it Alone! Have Horses? Avoid These Plants! Avg. evapotranspiration rate this past week : Valley: 1.1" ; Foothills: 1.1-1.2"
What is a "Chill Hour", what is a "Chill Portion"? Chill Hours: 752-810 valley; 1218-1253 foothills. Chill Portions: 70-76 valley; 81-84 foothills. Chill Hours: 762-905 valley; 618-1115 foothills. Chill Portions: 67-75 valley; 72-84 foothills. Chill Hours: 796-933 valley; 900-1350 foothills. Chill Portions: 65-75 valley; 74-93 foothills. Wondering when is the right time to plant? The online Farmer Fred Interactive Vegetable Planting Calendar for Northern California is for you! Click on each vegetable for specific planting information. Also, download the printable planting calendar. This is a project undertaken in conjunction with the municipalities and water districts in many California locales. The website has a wealth of local residential photography and plant information to help homeowners improve their garden in a water efficient way. Sacramento, El Dorado and Placer residents: click on the link - Be Water Smart . Shepard Garden & Arts Center, 3330 McKinley Blvd. in McKinley Park. The event is free to the public to enter and view. All About Sunflowers presented by Master Gardener, Roxie Jones. Learn about the job of growing sunflowers, their historical significance, and environmental benefits. The public is welcome. Saturday, April 27 from 10AM -1PM. Plant sale 10AM -12 ~ Rain or Shine. The Calaveras County Master Gardeners' Demonstration Garden Plant Sale. The Demonstration Garden is located at the County Government Center, 891 Mountain Ranch Road, San Andreas. Also, a talk on Happy Soil = Happy Garden! The foundation of all gardening lies in the soil. We can enhance the fertility of our soil and improve the soil structure by employing simple techniques. We will discuss these techniques along with methods to evaluate soil types. The Library Gardens feature over 600 roses, and is a recipient of the World Federation of Rose Societies' Garden of Excellence. An ecologically-sustainable garden is both beautiful and able to attract and sustain pollinators and beneficial insects, reducing the need for pesticides. Plant selection directly affects beneficial insect populations, those insects that can provide ecological benefits such as biodiversity and natural pest control. This concept of "habitat management" provides a refuge for the insects during winter, and nectar and pollen resources, leading to increases in pollination and populations of other beneficial insects that help control pests in the garden. The Calaveras County Master Gardeners' Demonstration Garden will be open on Saturday, April 27 from 10AM &endash; 1PM. Plant sale 10AM -12 ~ Rain or Shine. The Demonstration Garden is located at the County Government Center, 891 Mountain Ranch Road, San Andreas. Location: Demonstration Garden, 891 Mountain Ranch Road, San Andreas. The UCCE Master Gardeners of Amador County's Plant sale is scheduled for Saturday, April 27, 2019, from 10:00 a.m. - 2:00 p.m. at the American Legion Hall in Martell. Start your spring gardening off right by picking up your favorite tomato or other vegetable varieties which have been propagated and cared for by Master Gardeners. Not sure what to plant? Master Gardeners can make suggestions and recommendations based on what has grown well for them in the area. But it is not just vegetables that you will find at the plant sale. We will have pollinators, herbs and flowering plants, (both annuals and perennials). We accept only cash or check, please. Parking is free and plentiful. Come early for the best selection. All sale proceeds support free classes, programs and activities provided to the community by UCCE Master Gardeners of Amador County. We plan to have experts on hand to answer your irrigation questions as well as home landscape and garden questions. The UCCE Master Food Preservers will be on hand too, passing out samples and recipes. If you have any questions about the plant sale or other gardening issues, call the Master Gardeners at the UC Cooperative Extension office from 10am to noon, Tuesday through Thursday, 209-223-6838 or e-mail, mgamador@ucanr.edu. Web site: http://ucanr.edu/mgamador. Location: American Legion Hall, 12134 Airport Rd in Martell. From 9:30 to 10:30 a.m. learn how to tune up your existing irrigation, or convert from sprinklers to drip. This workshop is designed to provide a guide to having an efficient water saving irrigation system. From 11:00 to Noon you will learn about a summer vegetable garden; what and how to plant veggies and the problems with pests and diseases. Solutions will be presented. Tickets will go on sale through the retail outlets beginning April 1, 2019. It's the club's garden tour fundraiser for Folsom area schools, scholarships and educational grants. The gardens vary from large to small and feature a variety of greens, color, patios and pools. People will be able to gather ideas for their own gardens. An artist and Master Gardener will be at each of the homes and there'll also be a bake sale and plant sale. To enrich your garden tour experience, UCCE Master Gardeners will be available at several of the locations during this popular garden tour. Bring samples of your problem plants, mystery pests or questions to the Master Gardeners. Get one-on-one advice based on the most recent research-based sustainable practices tailored specifically for the Sacramento Valley from people who have gardened here for decades. UCCE Master Gardeners have the answers. WHEN: Saturday, April 27, 2019, 11:00 a.m. to 12:00 p.m.
WHAT: Free "Backyard Composting 101"
The UCCE Master Gardeners of Sacramento County will teach how to turn yard waste such as leaves and clippings and discarded vegetables and fruit from the kitchen into "garden gold" aka compost. This class on the basics of composting will include how to set up a compost bin, types of compost bins, where to place your bin and more tips for success. April 27, 2019 9:30 A.M. to 4:00 P.M. This is a free, self-guided tour with gardens comprised of at least 50% California Native plants. Participants will be inspired by a variety of gardens that showcase the beauty, versatility, and hardiness of California native plants as well as their role in water efficient landscapes. Register above for a map and garden descriptions and addresses. The UCCE Master Gardeners of Amador County will be holding a plant sale on Saturday, April 27, 2019, from 10:00 a.m. - 2:00 p.m. at the American Legion Hall located at 12134 Airport Rd in Martell. Start your spring gardening off right by picking up your favorite tomato or other vegetable varieties which have been propagated and cared for by Master Gardeners. Not sure what to plant? Master Gardeners can make suggestions and recommendations based on what has grown well for them in the area. But it is not just vegetables that you will find at the plant sale. We will have pollinators, herbs and flowering plants, (both annuals and perennials). We accept only cash or check, please. Parking is free and plentiful. Come early for the best selection. All sale proceeds support free classes, programs and activities provided to the community by UCCE Master Gardeners of Amador County. We plan to have experts on hand to answer your irrigation questions as well as home landscape and garden questions. The UCCE Master Food Preservers will be on hand too, passing out samples and recipes. If you have any questions about the plant sale or other gardening issues, call the Master Gardeners at the UC Cooperative Extension office from 10am to noon, Tuesday through Thursday, 209-223-6838 or e-mail, mgamador@ucanr.edu. 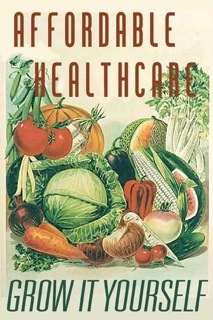 Web site: http://ucanr.edu/mgamador. The UC Master Gardeners of Napa County invite the community to join them for a public gardening workshop, "Flowers & Foliage for the House". This workshop will be held on at the UCCE Meeting Room, 1710 Soscol Avenue, Napa. Something changes when you put fresh flowers or greenery in a room. In the great houses of Europe, gardens were planned so that throughout the year there would be "flowers for the house." Learn how to plan your garden to be able to bring in the joy of cut flowers and foliage year round. This workshop will cover choosing and planting annuals and perennials that work well for cutting, starting seeds, preparing your soil, direct sowing seeds, selecting pollinator friendly flowers, and some principles of flower arranging. Participants will take home seeds and flower starts. Registration is preferred, space is limited. Fees are non-refundable and non-transferable unless class is cancelled. There is a charge of $5/person. Register online at http://ucanr.edu/2019flowers-foliage. For additional information, call the UCCE office at 707-253-4221. Upvalley and American Canyon residents can call toll-free at 877-279-3065. In this Make and Take workshop, you will learn how to make Ricotta and Mozzarella cheese in time to use it for your lasagna dinner. It is a quick and easy process once you understand the basics. Pre-registration is required. Cost: $20.00 *Pre-registration is required at http://ucanr.edu/apr27_mfpclass. WHEN: SUNDAY APRIL 28th - from 2:00 to 4:00 p.m. WHEN: Thursday, May 2, 2019, 8:00 a.m. to 12:00 p.m.
Finding unique challenges in your garden? Bring samples of your problem plants, mystery pests and questions to the "Ask the Master Gardeners" information table at the Florin Certified Farmers' Market in Sacramento. Get one-on-one advice based on the most recent research-based sustainable practices from Master Gardeners who have decades of gardening experience. For all your gardening questions, including growing fruits vegetables and herbs, ornamentals and trees, composting and water efficient landscaping, UCCE Master Gardeners have the answers. Learn how to prepare straw bales before planting and how to grow tomatoes, melons, sweet potatoes and other veggies without the use of soil. Saturday, May 4, 2019: 9 a.m.- 2:00 p.m. WHEN: Saturday, May 4, 2019, 10:00 a.m. to 11:30 a.m.
WHAT: Free. "The Wonderful World of Worms"
The UCCE Master Gardeners of Sacramento County will be teaching the basics of worm composting: how to make a worm bin, types of bedding, how to care for your worms, what to feed your worms, the benefits of worm composting and simple ways to harvest your worm compost. Worm composting is neat, easy and odorless, ideal for indoor or outdoor locations. Discover the benefits of being a Worm Wrangler! UCCE Meeting Room, 1710 Soscol Avenue, Napa. The UC Master Gardeners of Napa County invite the community to join them for a public gardening workshop, "Growing Culinary Herbs". Planting herbs, both delicate and bold, adds color and delight to your plate and palate. Enhance your repertoire of skills about preparation and their use and learn what herb flavors blend well. Cilantro, basils, thymes, mints, and their flowers, nasturtiums, roses, pansies, borage, and calendula are only the beginning! Demonstrations and hands- on activities add to the fun. Registration is preferred, space is limited. Fees are non-refundable and non-transferable unless class is cancelled. There is a charge of $5/person. Register online at http://ucanr.edu/2019herbs. For additional information, call the UCCE office at 707-253-4221. Upvalley and American Canyon residents can call toll-free at 877-279-3065. This year's tour will be exceptional with a maple tree farm, a "storybook" house on five acres of magnificent landscape with goats and a babbling brook, a diverse succulent garden, and three more amazing private oases graciously opened for viewing by the homeowners. Tickets: $25 Adults, $10 Children 12 and under. Tickets available at ticket outlets, April 1st. WHEN: Saturday, May 4, 2019 from 9 am to 12 noon. This a free event and open to the public. Classes will be held on Succulent Propagation at 9 am; Succulent Soil at 10 am and Succulent Care at 11 am. Master Gardeners will be on hand to answer your succulent and other gardening questions. Succulent plants of many sizes and species will be for sale. Some will be in decorative containers just in time for Mother's Day! There will also be a silent auction for a garden potting bench, decorative succulent dish garden and galvanized garden container with gardening tools and other gardening related items. Saturday, May 4, 2019 from 9 am to 5 pm. 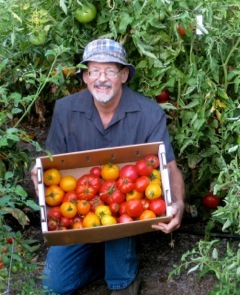 A full day of speakers, including "Tomato Troubleshooting" with Farmer Fred at 1130. WHEN: Saturday, May 4, 2019, 10:00 a.m. to 11:00 a.m.
items, garden art, baked goods & books. Location: Amador County GSA Building, 12200-B Airport Road in Jackson. Brighten up your meals with condiments made from your garden this summer. Vinegar gains wonderful depth and complexity of flavor when aged with herbs or fresh fruit. Vine-ripe tomatoes create spectacular barbecue sauces, ketchup and sandwich spread bases. Flavored salts and sugars add a burst of flavor to vegetables and meat. Fruit shrubs make a delicious tangy summer drink. Extracts flavor baked goods throughout the year. And all of these items make great gifts. Join us to learn how to create these wonderful condiments and make your meals sparkle. Water Efficient Landscape Garden: Irrigation. Orchard: Fruit tree planting ideas. Herbs: Spring planting and grooming beds for summer growth. Berries: Keeping birds off of berries. Vegetables: Planning for warm season crops. Compost: Types of compost bins and tips for success. Bring samples of your problem plants, mystery pests and questions to the Ask the Master Gardeners information table. Get one-on-one advice based on the most recent research-based sustainable practices. Located outside &endash; rain or shine. Free. The UC Master Gardeners of Napa County invite the community to join them for a public gardening workshop, "Growing Hydrangeas". This workshop will be held on at the UCCE Meeting Room, 1710 Soscol Avenue, Napa. Hydrangeas add style and color to the home garden with their variety of foliage textures, bloom colors and size options. limited. Fees are non-refundable and non-transferable unless class is cancelled. There is a charge of $5/person. Register online at http://ucanr.edu/2019herbs. For additional information, call the UCCE office at 707-253-4221. Upvalley and American Canyon residents can call toll-free at 877-279-3065. Saturday, May 11th and Sunday, May 12th from 10:00 am to 4:00 pm. The 21st annual East Sac Garden Tour will provide access to fresh garden ideas along with a peek into seven backyards in the Fabulous 40's. It is a perfect family outing for Mother's Day weekend (children 12 years and under attend free). Tickets are available online: www.eastsacgardentour.com. Tickets are also available at participating East Sacramento businesses. You can see the list of businesses on the website. Tickets purchased through May 10th at 12:00 p.m. are $20. Tickets are $25 the weekend of the event (children 12 years and younger are free). This year's special attractions include a display of cars provided by the California Auto Museum, the Sweet Stop, Lemonade Stands and an Artisan Boutique. Twenty-one years ago, David Lubin Elementary teachers saw the need for more educational enrichment at the school. To raise funds, they created the East Sacramento Garden Tour&emdash;an effort that has been a tremendous success for students and the entire school community. The Garden Tour today is a combined effort of the David Lubin Parent Teacher Group, teachers, staff, and community partners. The Garden Tour funds the art and music programs, the After-School Academy and teachers' aides for small group learning. WHEN: Thursday, May 16, 2019, 8:00 a.m. to 12:00 p.m. WHEN: Thursday, May 16, 2019, 9:00 a.m. to noon. WHEN: Saturday, May 18, 10:00 a.m. to 2:00 p.m.
Finding unique challenges in your garden? Do you want to know what those bugs are in your garden? UCCE Master Gardeners have the answers. Bring samples of your problem plants or insects to the UCCE Master Gardeners Information Table at the A. M. Winn School May Faire. We will help you find sustainable solutions to your gardening questions. WHEN: Saturday, May 18, 10:00 a.m. to 4:00 p.m. Questions about gardening, plans, pests and more? UCCE Master Gardeners will be available to advise you with the latest in UC research based information. WHEN: Saturday May 25, and Sunday May 26, 2019, 10:00 a.m. to 2:00 p.m.
Finding unique challenges in your garden? Bring samples of your problem plants, mystery pests and questions to the "Ask the Master Gardeners" information table at the Secret Garden Nursery Succulent Extravaganza in Elk Grove. Get one-on-one advice based on the most recent research-based sustainable practices from Master Gardeners who have decades of gardening experience. For all your gardening questions, including growing fruits vegetables and herbs, ornamentals and trees, composting and water efficient landscaping, UCCE Master Gardeners have the answers. WHEN: Thursday, June 6, 2019, 8:00 a.m. to 12:00 p.m. WHEN: Thursday, June 20, 2019, 8:00 a.m. to 12:00 p.m. WHEN: Friday, June 28, 2019, 10:00 a.m. to 11:00 a.m.